Blazing an eco-trail for childrena��s writing, The Honey Hunter hopes to instill awareness in kids on the perils of ecological imbalance. 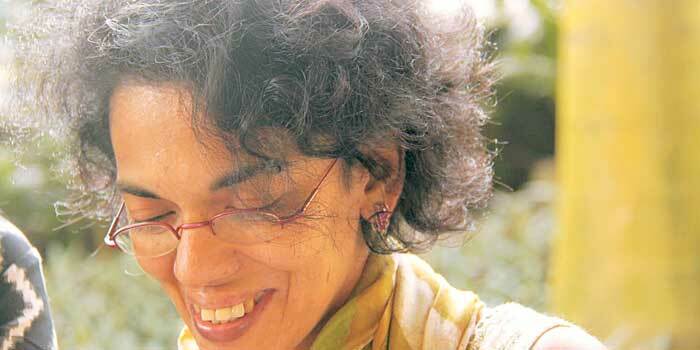 Adapted from a section of DESH, a dance-drama by Akram Khan, and illustrated by JoA�lle Jolivet, author Karthika NaA?r describes the story as part fable-part adventure. 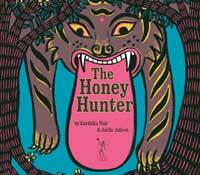 Set in the Sundarbans, the plot centers around Shonu, a young boy whose parents are honey gatherers. Plagued by hunger, his desperation for food takes him to a forest where he encounters a demon-tiger. NaA?r claims The Honey Hunter is a cautionary tale that is relevant to children in a world where ecological balance is threatened. a�?To be honest, I didna��t think of a young audience at first, and nor was I asked by the publishers to a�?make it more child-friendly.a�� I had plotted this to be the bedtime tale for Akrama��s imaginary niece,a�? she shares. Addressing the issue of cognitive dissonance (mental stress and discomfort) in society today, NaA?r explains a passage from the book. a�?A little girl doesna��t realise that bees cannot make honey in winter, that there is a time for things to rest, just as there is a time for things to grow. She just assumes honey is something to be bought off a supermarket shelf at any time of the year,a�? she explains. As for the message that she intends children to receive when they pick up a copy, she shares, a�?The Honey Hunter contains a lot of love and hope for the world, wounded and messy as it is. And the thought that each one of us gives something back to the planet.a�?